My current Shoeper Woman shoe challenge started on September 1st and I have successfully worn shoes every single day! Not really a big surprise that I wear shoes everyday, but the shoes that I wore, photographed, and saved this week are the ones that count! I have worn quite a few different from my everyday pairs lately, and for a small moment, I thought I was going to have to reconsider my count and scratch off another one of my overly worn pairs after this last Sunday. However, I discovered that a high powered hose works well for cleaning off mud and muck from a favorite pair of Doc Martens! So, never mind, my count still stands at 37 total, and with these two, I have four pairs saved. Ah, fall is finally getting close, and today was a nice taste of what is to come. We awoke to 50 degrees this morning and the day didn’t get much higher than the lower 70’s. Plus, there was a nice breeze and no humidity! Wait, I am sure there was some humidity, but it is not as noticeable when the weather isn’t so hot. It was a beautiful day and an evening walk at the lake was a nice way to end it. After a good part of the day trampling through mud and surrounded by chickens, an early evening dinner with the family was a must. Also on the afternoon agenda, a nice walk with the dog. The great weather continued into today, only a little bit warmer than yesterday, but still feeling much more like fall. I can’t wait until this heat is completely gone! I am not in any hurry to get my shoes saved this time around, and starting in September ensures that the weather won’t hinder any of my attempts; they should all get worn with no problems at all. *Linked up with Rachel the Hat and Lena B, Actually and their Passion for Fashion. It’s not too late to start a shoe challenge of your own. The condition being that your shoes get worn and documented by Sept. 1st of next year. 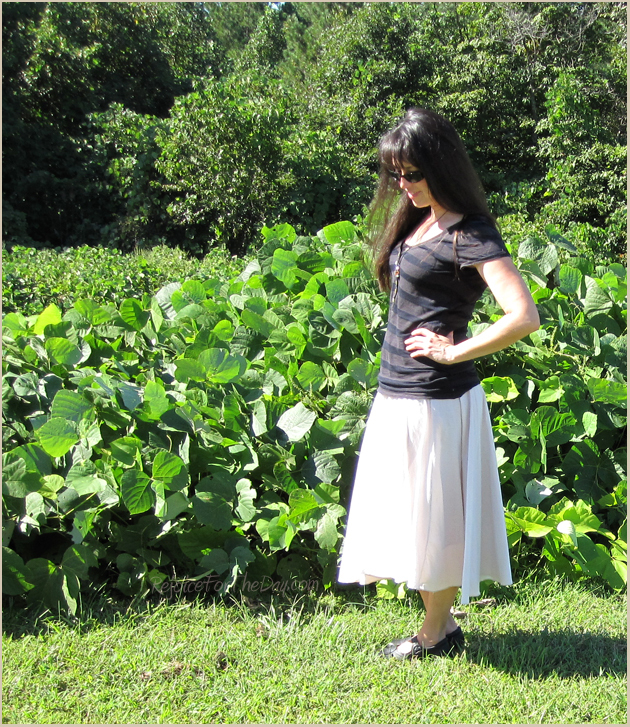 The lovely Shoeperwoman does a Friday link-up post for the week’s saves. It is a really fun challenge! It’s also good weather for cowboy boots. They are the foot apparel of choice for me. I’ve been wearing cowboy boots (good quality s*** kickers) since Grade 9. I love your blog, by the way. I’m not a fashion expert but I believe that a good attire starts from the ground up. Have a great fall. I am not too sure about my ‘fashion expertise’, but I think you are right. Thanks! Good thing you saved those Docs!! I really like the ankle straps on your first pair of shoes!